“An apple a day keeps the doctor away.” A variant of this “apple-a-day” expression first appeared in print in 1866. It read, “Eat an apple on going to bed and you’ll keep the doctor from earning his bread.” We know this health maxim doesn’t literally mean one apple eaten every day will keep you in perfect health. However, we do understand a healthy diet can limit trips to the doctor’s office and apples have been the poster fruit for nutritious eating for a long time. They are known for having many health benefits including managing weight and diabetes as well as preventing heart disease and Alzheimer’s. So apples can be good for you. 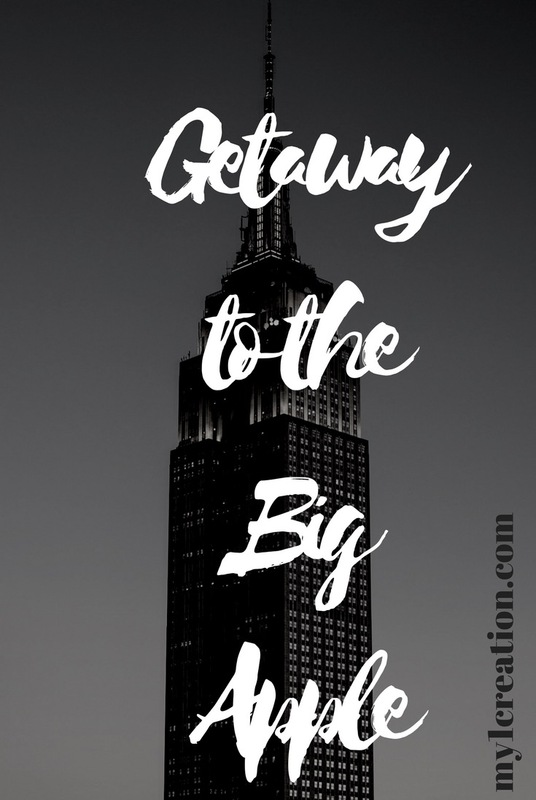 This is common knowledge; but what can the “The Big Apple” do for you? Could a trip to the “The Big Apple” contribute to healthy living? Before we answer that question, let’s take a small bite into a juicy history lesson. It’s a well-known fact that “The Big Apple” is a nickname for New York City. What is less known is that etymologists speculate “The Big Apple” was 20th century African American slang for any big city full of flashing lights and flashy entertainment. Support for this quiet-as-kept fact is found in the Chicago Defender, a Chicago-based newspaper started in 1905 by and for African Americans. One of its writers, a vaudeville performer named “Ragtime” Billy Tucker cited Los Angeles as “The Big Apple” in 1920— two years before he used the term to refer to New York. The history of “The Big Apple” slang gets even juicier as we get closer to its core. Let’s take another taste. As early as 1911, “The Big Apple” was used to refer to successful entertainers because to “get a bite out of the big apple” meant you earned billing, i.e., your name up in lights. By the 1930s, “The Big Apple” was also a dance craze created by African American youth in South Carolina. It was coined after the synagogue-turned-juke joint of the same name— Big Apple Nightclub. The popularity of “The Big Apple” dance began to decline in the 1940s and by the 1960s “The Big Apple” was only used to refer to New York City. The terminology officially became the international description of the city by the 1970s. So back to my original question: Could a trip to the “The Big Apple” be good for your health? Telling you it’s healthy to live in or even visit New York, Los Angeles or other major urban centers seems counterintuitive to say the least. Studies show people in these areas react more vigorously to stress and thus get more “stressed out” than their rural dwelling counterparts. Too many stressors like crowded streets, jam-packed freeways, sirens and smog can’t be a healthy environment for anyone— even if that’s all you’ve ever known. So where am I going with this? Better yet, where am I trying to take you? I want to bring you to a place where you create and experience your very own Big Apple. Your personal Big Apple is a healthy environment you establish to enjoy yourself and have a good time wherever you go. It is one where you can relax and recreate. In this place, you can let your hair down and be yourself. Its starting point is within your own heart. Let’s take a ride: Embark upon a journey to your heart like you would a city you’ve never visited. Gaze upon it with innocent eyes. Be in awe of the wondrous light that shines even in the darkest hours. Become star struck with yourself noting the remarkable achievements you’ve made in life. Laugh at yourself and all the funny little things that only “Me, Myself and I” know about. Embrace the sanctity of your own inside jokes and the miraculous feats only you’ve witnessed. Marvel at the peaks you’ve climbed and the valleys in which you’ve developed. Travel to this place often until you become a frequent visitor. Extend your vacation time there until it becomes your permanent residence. Soon, this will become your natural state and as you cross the borders of your inner city you will bring your Big Apple with you everywhere you go. Consuming food like apples and eliminating stress from your life can offer a double dose of healthy living, but I believe maintaining a joyful internal environment is crucial to health and long life. It gives your spiritual and physical heart a space to mend and be blessed. It allows you to confidently venture out into the big leagues of life and keeps you out of emergency rooms and pharmacy waiting areas. The Bible says it this way in Proverbs 17:22, “A merry heart does well like medicine.” So kick up your heels and do a little dance. Clap your hands. Snap your fingers. Sing along with Michael Jackson’s Human Nature: “If this town/Is just an apple/Then let me take a bite.” Do it! Go ahead and take a huge chunk out of YOUR Big Apple. Trust me. If you do, when the ball drops, you will begin the countdown to your most enriched, healthiest days ever! Thank you, Ms. Nakia! Glad you appreciate the importance of American Apple Pie!! !